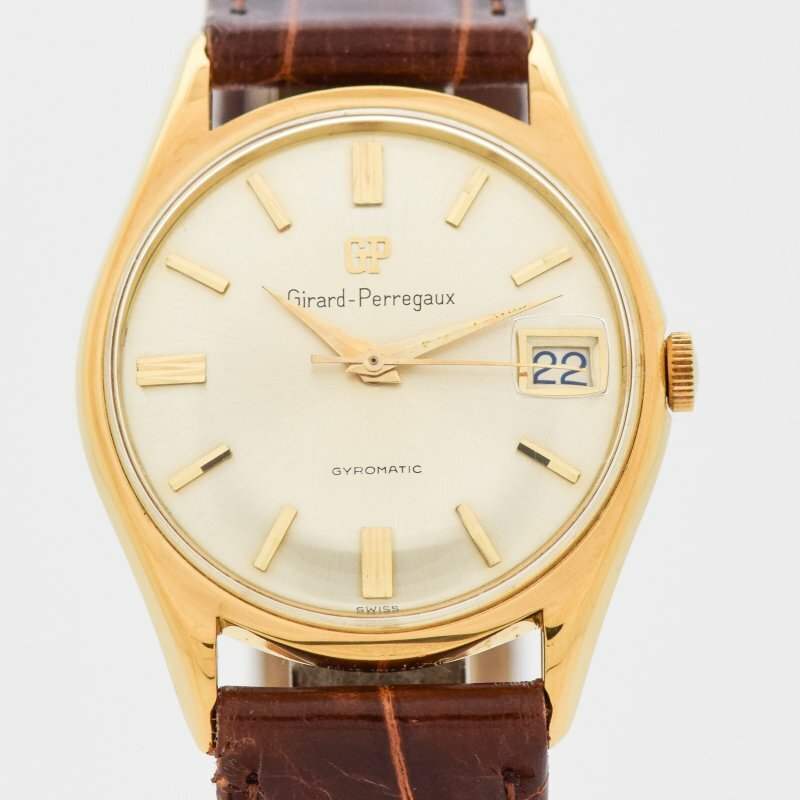 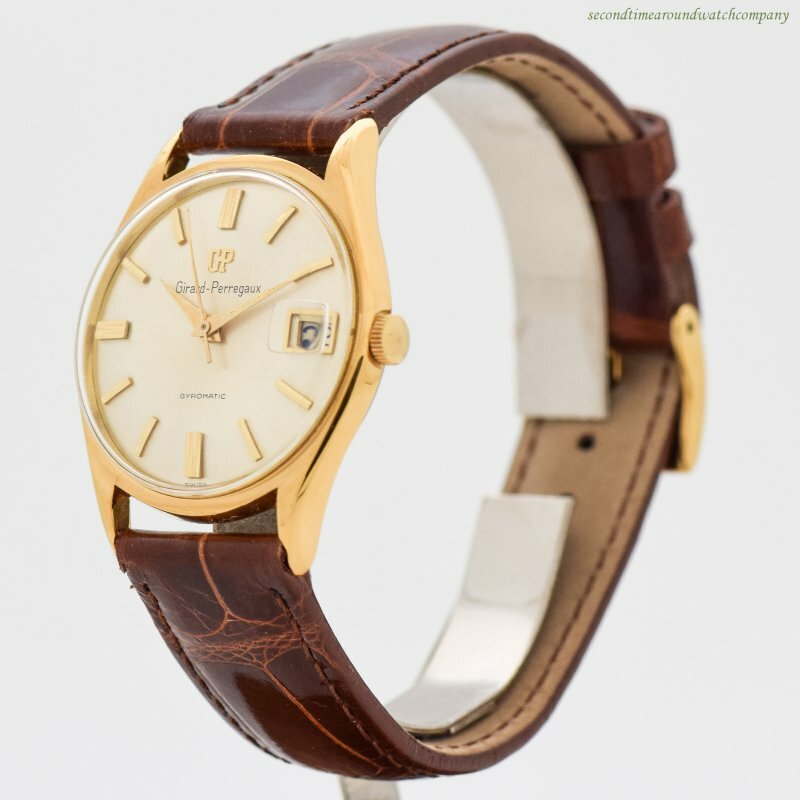 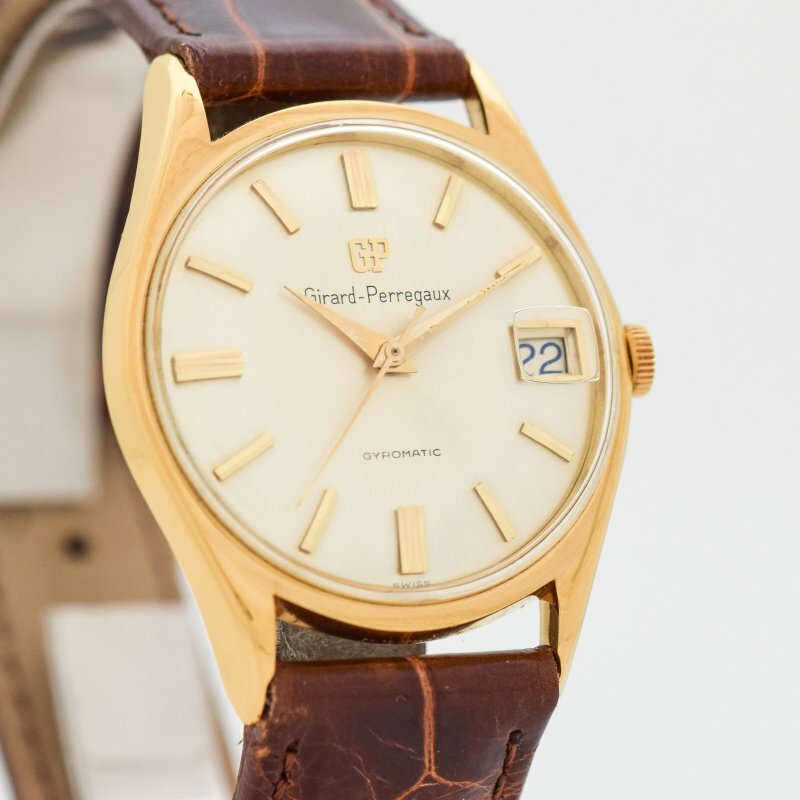 1970's Vintage Girard Perregaux Gyromatic with an 18K Yellow Gold Plated & Stainless Steel case. 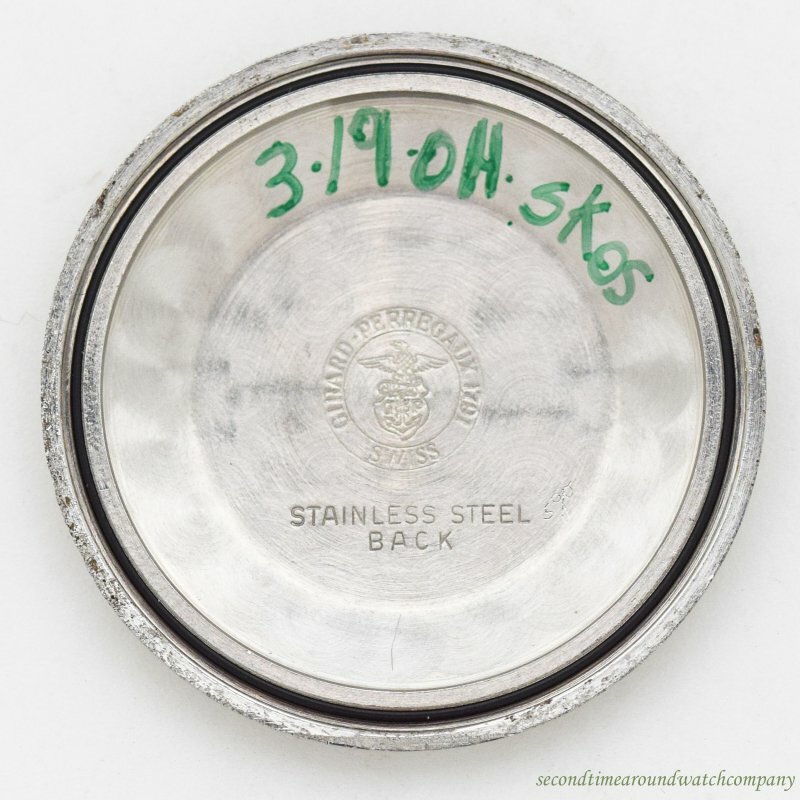 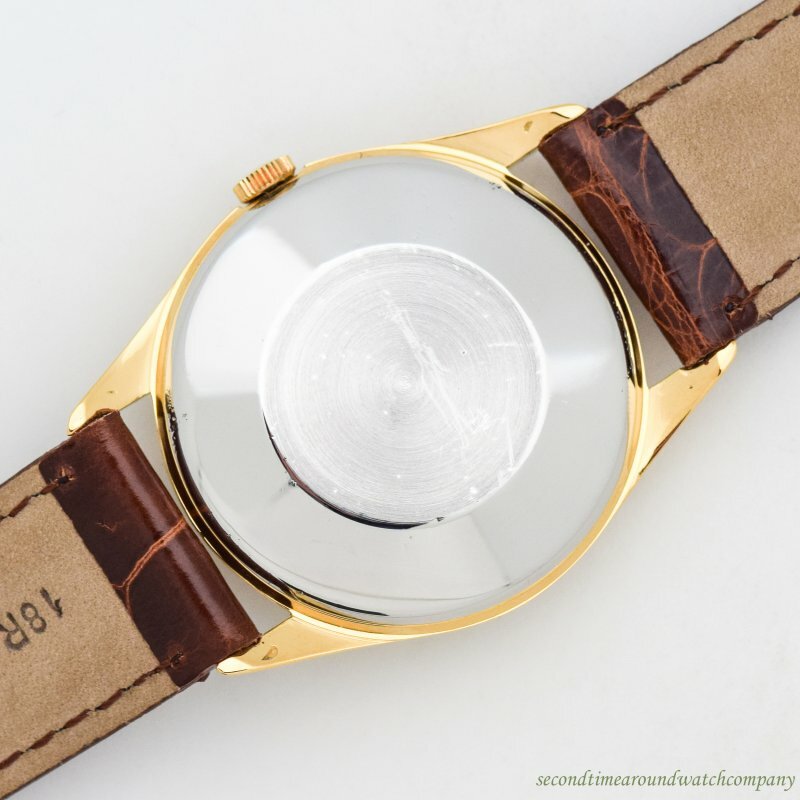 Original, silver dial with applied, yellow gold-colored Arrow markers. 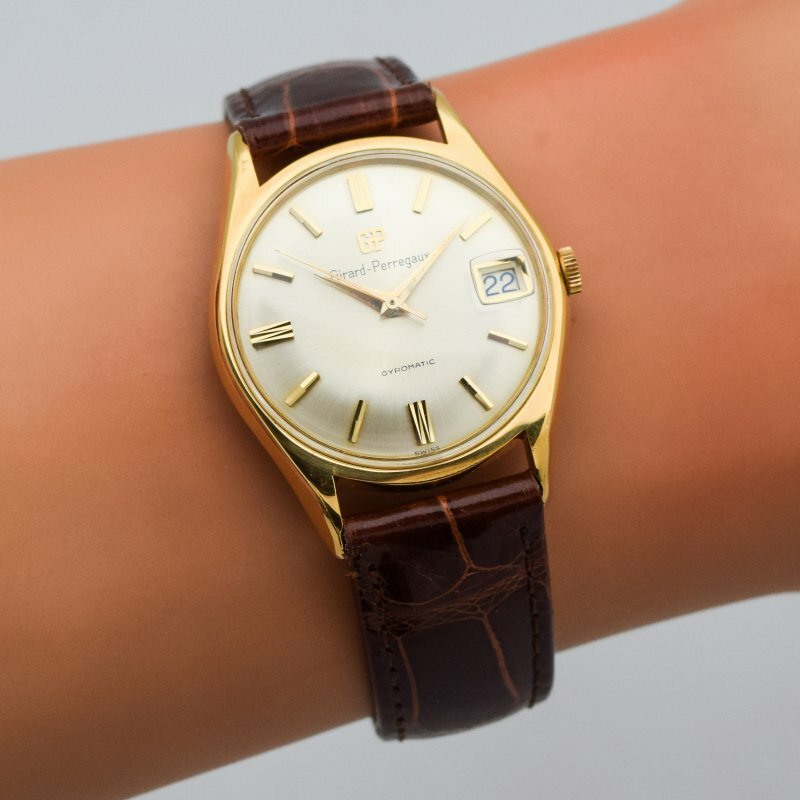 Date function. 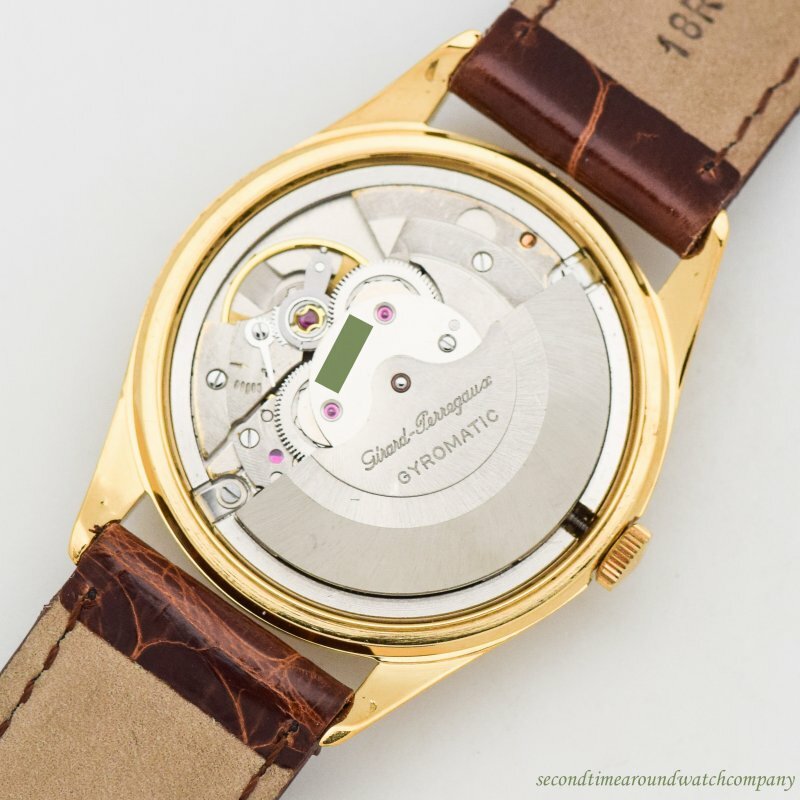 Equipped with a 25-jewel, automatic caliber GP18 movement. 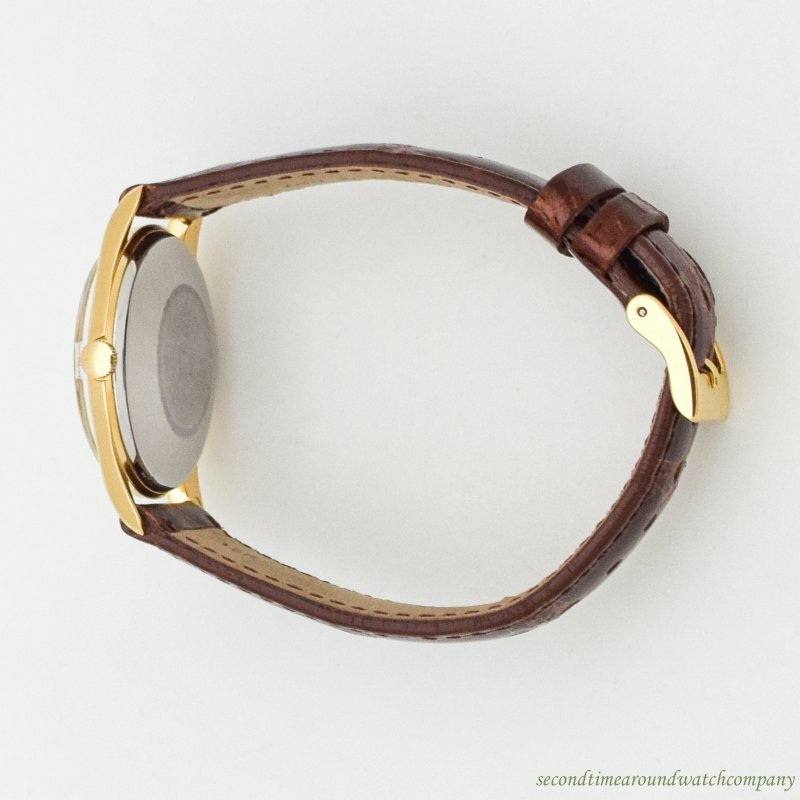 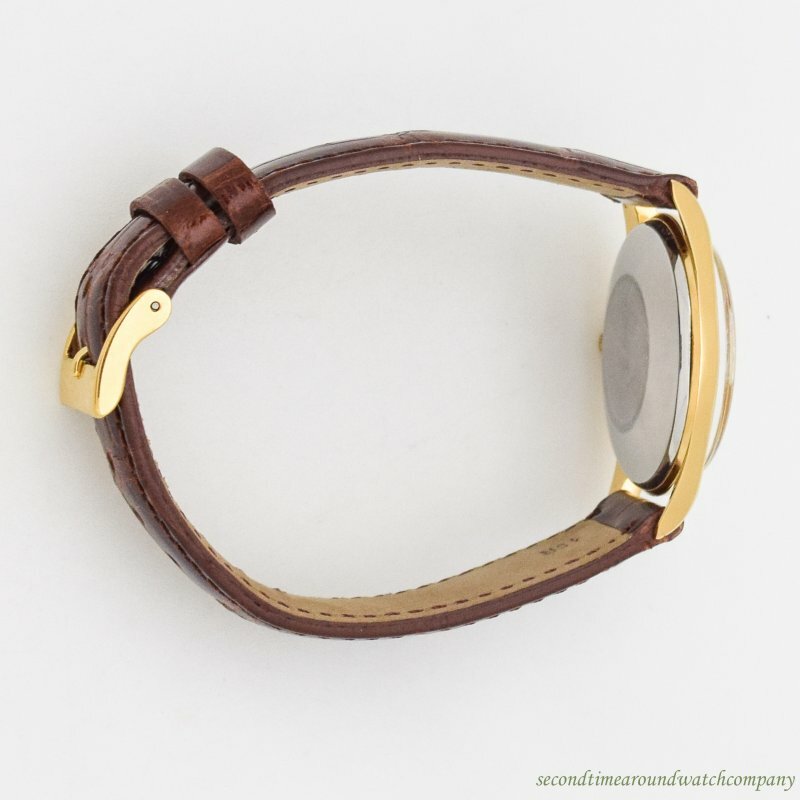 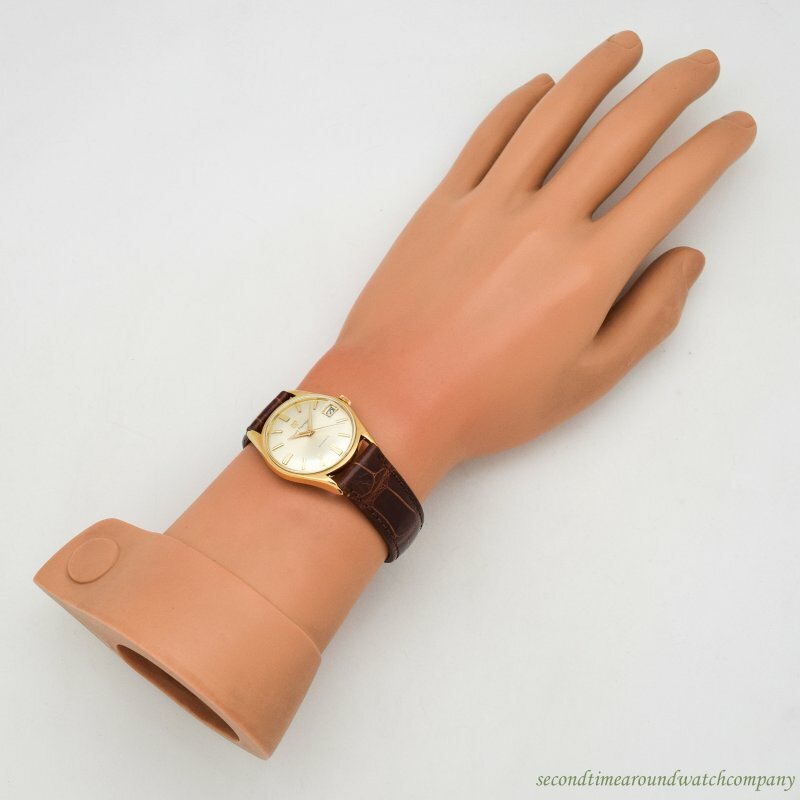 Featured on a 100% Genuine Alligator Glossy Brown-colored Watch Strap.